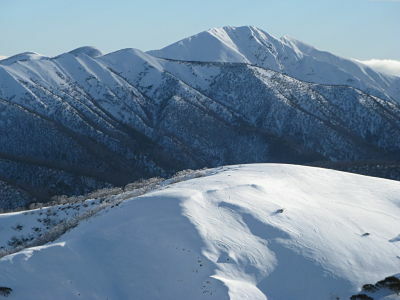 Mount Feathertop, just to the north of Mount Hotham is one of our most charismatic mountains. 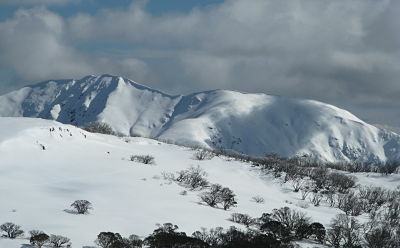 Its impressive east face is a magnet for winter climbers, boarders and skiers and it is a relatively easy walk in other seasons when approached from the Great Alpine road, following the Razorback Spur. This is alpine country, so you need to be prepared for all weather, even in summer. A number of tracks also climb the mountain from the Ovens River Valley, at Harrietville. 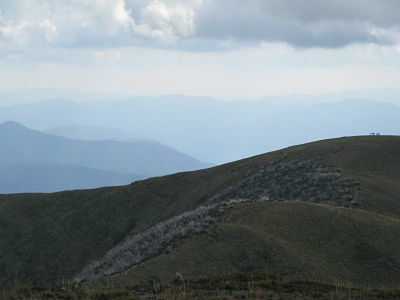 There are some rougher tracks and routes on the eastern side of the mountain, approaching either from the West Branch of the Kiewa River or across the Bogong High Plains and then down into the Kiewa Valley. 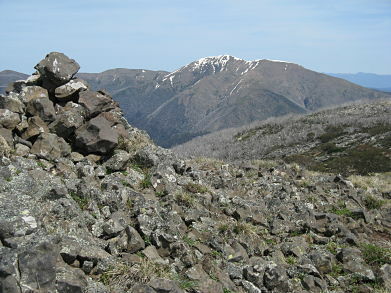 I recommend the ‘Bogong Alpine Area’ map produced by Spatial Vision for walking in the area. 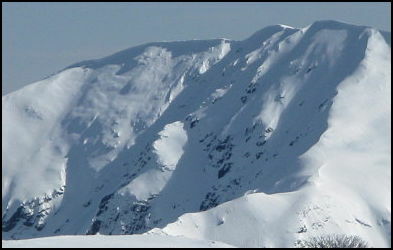 There is good background info on the mountain on Wikipedia. 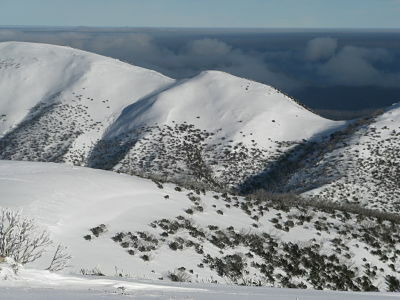 There are 2 huts on the mountain – the MUMC geodesic dome on North West Spur, and Federation Hut, which was re built after being destroyed in the 2003 fires. 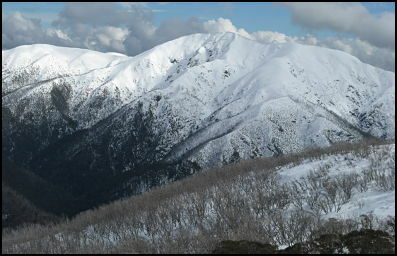 Thanks for sharing this, especially the beautiful pictures of Feathertop and the other mountains.